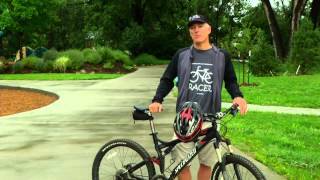 View the schedule for community bike rides through Bike Friendly Arvada. Bike Friendly Arvada leads fun, free, family-friendly community bike rides all summer. Visit the Bike Friendly Arvada website. Electrical assist bicycles are allowed on all city-owned bicycle paths and lanes. Check out Jefferson County's e-bike regulations for more details on laws regarding Jeffco Open Space trails. Do you have a young one in your family looking for a safe place to learn how to ride a bike? Do you know anyone who needs a lesson in safe biking? Arvada has a new one if its kind Bike Training Course! For more information visit the Bike Training Course web page. Arvada is already a silver-level Bicycle Friendly Community, but we are committed to making it even better. In October 2017, City Council meeting, Council approved the 2017 Bicycle Master Plan which will make bicycling a safe, convenient, and efficient option for every trip in Arvada. For information on the building blocks required to be a bike friendly community, visit the League of American Bicyclists under Resources. For more information, contact Traffic Engineering, 720-898-7740.